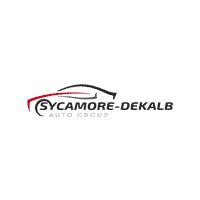 Sycamore-DeKalb Auto Group is happy to help customers in Sycamore and DeKalb, IL, and across the entire Chicago area find the perfect new or pre-owned car. With over three decades of auto industry experience, we understand the concerns and issues that come with getting a new or used car. We’re here to make your car buying experience one of a kind. Contact our Sales staff at 815-895-8105 or check online to see our inventories of new and pre-owned cars. We specialize in a wide range of makes and models and have dedicated Sycamore-DeKalb dealerships for new and pre-owned Chrysler, Dodge, Ford, Honda, Hyundai, Jeep, Mercedes-Benz, Ram, Toyota, and Volvo. Don’t put the luck of the draw between you and your new car again! Come down to our dealership to take a look at the new and pre-owned inventory we have in stock. View our list of locations or call us at 815-895-8105. We look forward to seeing you!